Jasim Kuraishi is the sole earning member of a ten person family in Targari village. He is engaged with the brokers who are involved in goat-business. He finds customers for them and in return collects is commission after completion of the deal. Though he has a good livestock with him, yet they are not in good health that can be traded. As a result to feed his family he sought other alternatives to earn money. It is a herculean task for him to take care of his entire family, especially since his mother is old and needs medical attention as well. The entire family is dependant on the cattle business. He has very few goats and one cow in his house, Most of the time he is involved in sale and purchase of other livestock among brokers and in that process he earns some money for his family. 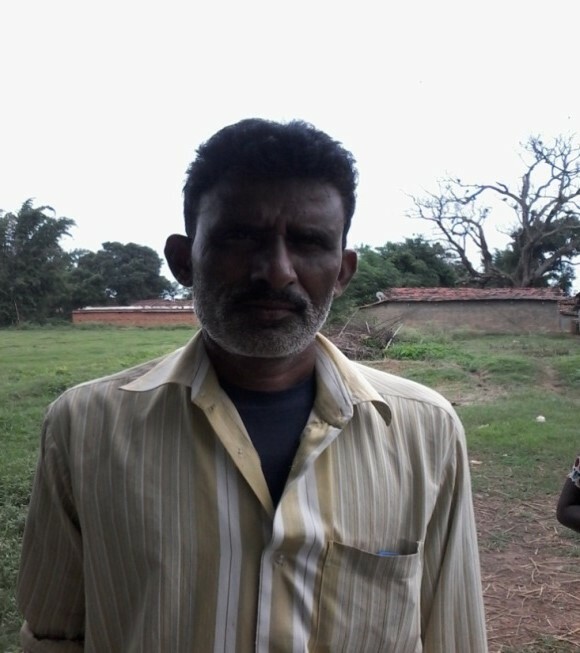 After a consultation with Soochna Seva, a lot of help was provided for Jasim. His front yard is full of grass and is the perfect environment for cattle farming. Most importantly, veterinary camps were conducted in his village on behalf of Soochna Seva, where all kinds of medicine and vitamins were provided for the cattle and livestock. He was advised to try and expand his cattle business since it can be taken care of by his family members even while he is away. Jasim Kuraishi is a poor man, and does not have any money for agriculture but with this business plan his family will be able to contribute and their standards of living are sure to improve.